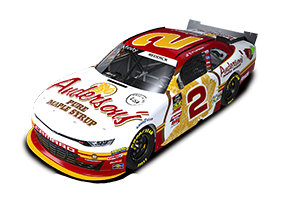 Anderson's Maple Syrup was the primary sponsor on the No. 32 Turner Scott Motorsports Chevrolet Silverado of Miguel Paludo on November 1st at the Texas Motor Speedway. The race was broadcast live on Fox Sports One ( ). In addition, Anderson's was excited to have Brookshire Food & Pharmacy on the truck as a partner as well for a great weekend of racing. After qualifying 4th, Paludo ended up bringing the truck home in the 8th place. Click here to view the post race report release for this race.